I usually don’t have time for breakfast on Saturdays, as I give piano lessons in the morning. 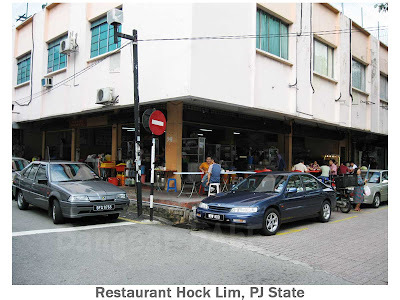 Since I had a free Saturday morning last week, rif took me to Hock Lim, PJ State for breakfast. 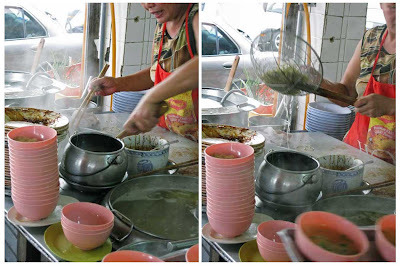 At 9am, Seng Kee Wantan Mee was the busiest stall in the coffeeshop and we were there specially for the noodles. 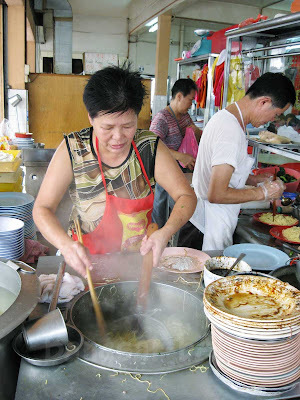 According to the auntie, she has been selling wantan mee for more than 30 years! 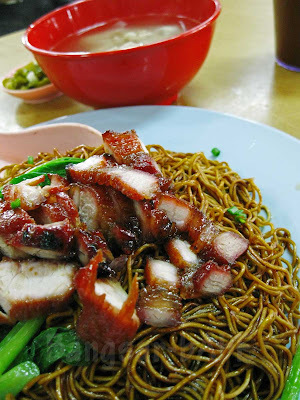 We ordered a large plate of char siew wantan mee (RM5.30) to share. Almost every table in the coffeeshop had a plate (or more) of wantan mee. There were a few people waiting for their noodles, so it took about 10 minutes before ours arrived. The noodles had a springy and chewy texture. As seen from the photo above, each strand was well-coated with sticky dark sauce. 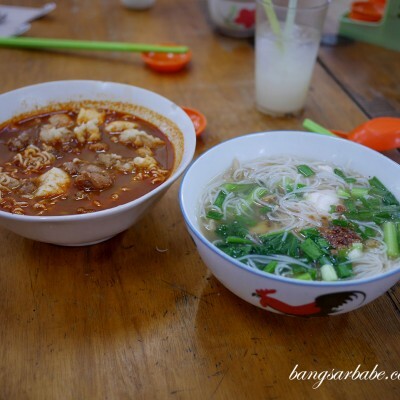 rif usually orders the “cho mein” (broad egg noodles), but it is only available on Sundays. The char siew was very good – I felt that this was the highlight of the meal. Although it did not literally melt in my mouth (not as fatty as I like it to be), it was tender and well-flavoured. The wan tan had a soft, smooth skin that glides down the throat easily. I detected a strong hint of MSG in the soup, so I did not finish it. They run out of char siew very quickly, and only steamed chicken is left after that. Get there earlier if you want a share of the sticky, sweet and tender BBQ pork. I spotted a queue at the nasi lemak stall in front of the coffee shop, so I ordered one with ayam merah (RM3.80) to try. It was disappointing – the rice was not as creamy or fragrant as I like it to be. On top of that, the sambal was not spicy enough and the chicken was terribly dry. A good thing I asked for extra gravy, else I wouldn’t be able to eat the chicken! 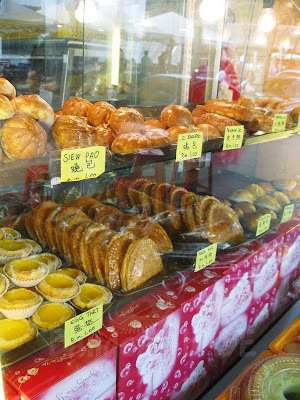 We also bought some egg tarts (RM1 each) from the pastry display at the coffeeshop. 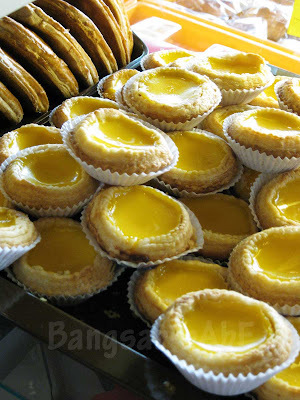 The tarts had a buttery, flaky crust and egg custard filling that was not too sweet. Not bad, but I prefer Tong Kee’s version to this. I enjoyed my breakfast, and would definitely come here if I ever crave char siew wantan mee. 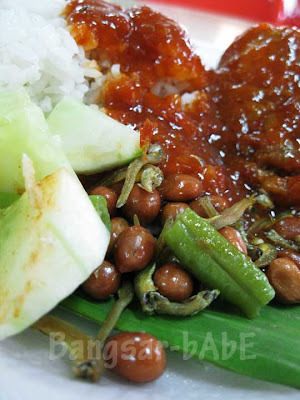 For RM5.30 (large plate), it is slightly on the pricey side but the hearty portion makes up for it. Verdict: One of the best char siew wantan noodles I’ve eaten. 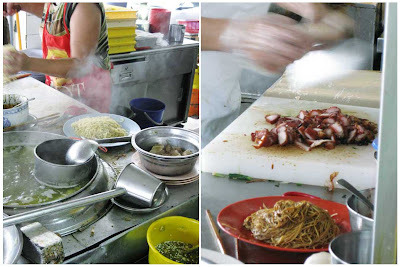 one of my fave place for wan ton mee but the server is quite ignorant-sometimes mixs up all the orders. wahh..thks for reviewing it! I read abt this in this in TimeOut (but a few mths ago heheh)..so its good ah? Unka n I went to Kam Heong instead, Sun morning aft tht unfortunately car incident, my mood definitely didnt improve frm the wan tan mee there. no good babes, no good. PJ State is one area which I have not been to for ages 🙂 haven’t explored thoroughly. nomad – Yup, it’s good. But must go when got not many people, else she’ll rush. I don’t like it when she rushes…it affects the taste slightly. 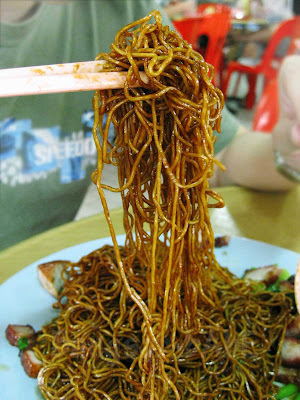 Never ate the wantan mee there…but yeah, if my car liddat, sure no mood to eat wan!! One day we go lar…maybe we do brekkie there before our chicken rice…kekeke! foodbin – Yea…it happens a lot during peak hours. That is a real hearty breakfast babe!! Got wanton, nasi lemak, egg tarts, you are eating into lunch period.. My kind of brekkie!!! too bad about the nasi lemak. cos the redness of it was quite appetising. Ya lor…I found it so disappointing, as it looked promising. 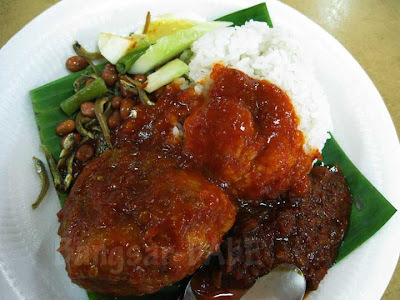 CWF – Is that packet version or the custom nasi lemak? That’s sticky caramel goodness. Always have a soft spot for char siew and siew yoke. aiks, how ironic! i posted on wantan mee also yday! hahaha …. your char siew looks more presentable though. J2Kfm – Yup, what a coincidence! 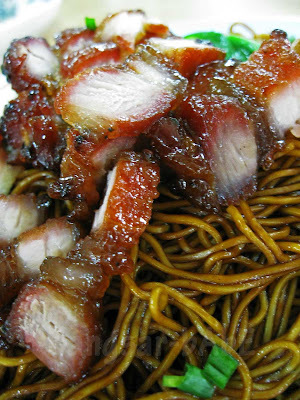 Your char siew looks pretty good too! worldwindows – Time to pay them a visit! 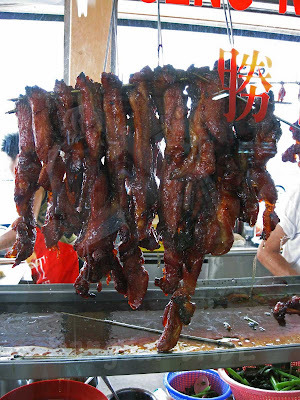 the char siew looks good, can't wait to try it. Went there this morning to check it out and the stall is gone. 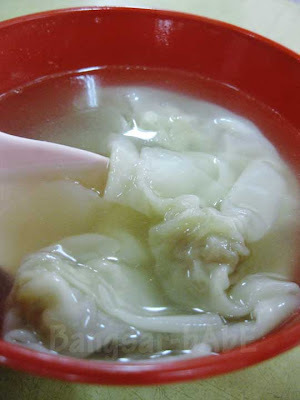 Another wantan noodle is there and it is not the same as you describe. One thing is the nasi lemak which is in front of the stall is till there and there is a long queue. Yes, the stall has moved just down the road to this coffeeshop called Kam Heong (http://www.bangsarbabe.com/2014/11/kam-heong-coffeeshop-pj-state.html). Hope this helps.